Science. Safety. Simplicity. These are the hallmarks of our product line for long term care. 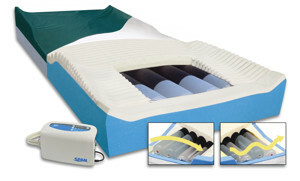 Span-America manufactures a comprehensive series of powered and non-powered support surfaces, overlays and seating to give the clinician the needed options in addressing integrity of the skin and deep tissues. The PressureGuard® APM2 offers the long-term care clinician two distinct therapy modes – alternating pressure and lateral rotation at the click of a switch. Real value is added with the PressureGuard® comfort and safety features including the proven Geo-Matt® anti-shearing top surface and two-part Safety Edge™ bolster system for fall prevention. The APM2 Safety Supreme adds even more features to this series’ technological advantages. Among additional design highlights are raised edges that increase patient safety from falls and entrapment complications that may arise through the use of restraints and side-rails. Our respected PressureGuard® family of powered and non-powered surfaces has grown with the launch of the Custom Care® Convertible series. 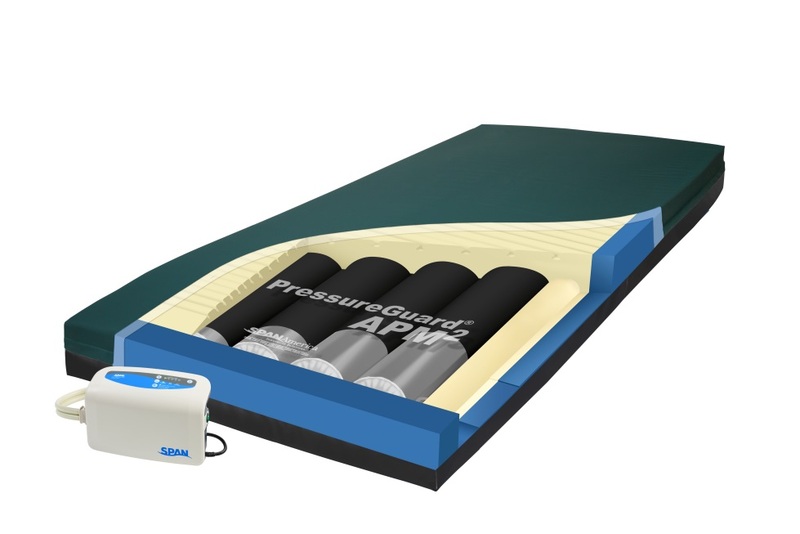 Built on PressureGuard’s proven technology, the Custom Care Convertible’s engineered step down facility assures adequate and even pressure when the surface becomes non-powered. A feature of the Custom Care® Convertible is its additional clinician-acclaimed anti-shear feature, the Shear Transfer Zones™. The Custom Care® Convertible LAL provides low-air-loss technology in a convertible surface. 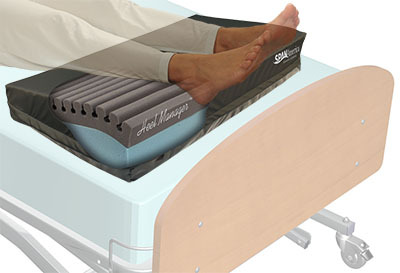 The non-powered Geo-Mattress® Max® is part of an exclusive series of therapeutic foam mattresses. Leading the list of features is the clinically proven, anti-shearing Geo-Matt® topper with unique geometric design consisting of over 800 individual cells each of which acts individually to redistribute pressure, to reduce heat and moisture buildup on the skin, and to reduce shear to underlying tissues. All Geo-Mattresses feature vapor barrier, bacteriostatically treated covers and have a weight limit of 400 Lbs. 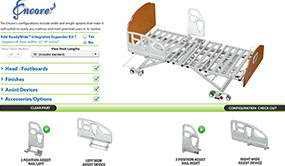 See the Geo-Mattress Atlas® for bariatric support up to 600 Lbs. The Geo-Mattress with Wings® offers raised perimeter protection (8" high) in a non-powered surface. By gently urging the user away from the edge of the bed this surface helps decrease the risk of accidental falls and reduces the possibility of side-rail entrapment by filling in the space between the bottom of the side rail and the surface. There are many products available to protect heels. None provides the combination of superior design features delivered by Heel Manager™. Span-America’s extensive line of seat cushions addresses patient comfort as well as wound treatment, skin protection and positioning. The Geo-Matt® PRT is a therapeutic seat cushion and at 3 inches tall, is a modification of the exclusive Geo-Matt design. This creates the lower, firmer base needed by many wheelchair users for safe transfers, easier propulsion, and better fit into the wheelchair/cushion system. The convenient one-piece Short-Wave® with unique segmented fins is specifically engineered to provide relief and address the effects of shearing and sitting-induced pressure. The Geo-Wave® Specialty Recliner Cushion is designed to address the effects of shearing induced by reclining, which is typical of institutional seating. The Geo-Wave reduces pressure for the user in the upright or reclined position. The EZ-Dish™ provides a simpler, non-fitted seating solution for those at high risk for pressure ulcers at the ischium or coccyx. 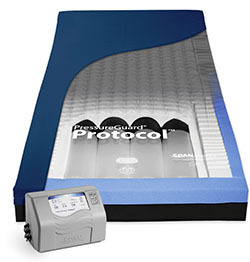 This pressure relief cushion, which is available in four standard sizes, is modeled after the company’s original Isch-Dish®. The SELAN family of protective lotion, cream and barrier cream includes products designed for the long-term care environment that improve and prevent skin tears, ulcers and rashes. SELAN Zinc oxide products, such as barrier cream and lotion, prevent burns and skin breakdown as they protect and moisturize skin ravaged by chronic incontinence. The Risk Manager is a new concept in bedside safety mats which provides excellent support in long-term care where patient safety from falls is in sharp focus. The Risk Manager and new Risk Manager XL are unlike other fall pads which are made from scrap foam carpet underlayment. The Risk Manager is engineered from elastomeric gel compound with a non-slip, textured top surface and non-skid, slide-resistant bottom surface. Our many years of bed engineering skill, research and clinical feedback have been taken to the next level in the design of the Encore and Advantage ReadyWide beds, with innovative features that address some of long-term care's persistent challenges. The Encore is our premium bed, providing measurably improved levels of care and comfort for the user and better ergonomics and protection from injury for the caregiver. Many key features are included as standard and its accessory line-up includes width and length options that make it well-suited to nearly any mattress and most potential users in its market.